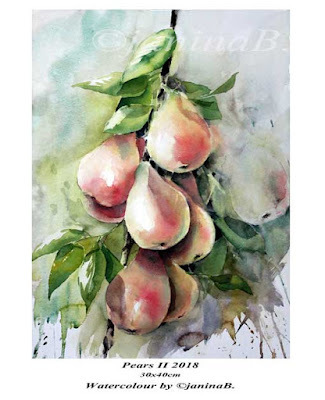 Pears II 2018 / 30x40cm Watercolour by ©janinaB. 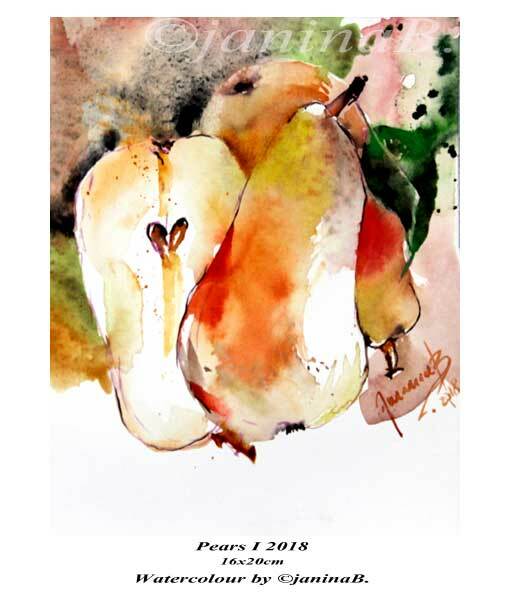 Pears I 2018 / 16x20cm Watercolour by ©janinaB. Tulips I 2018 / 30x40cm Watercolour by ©janinaB. 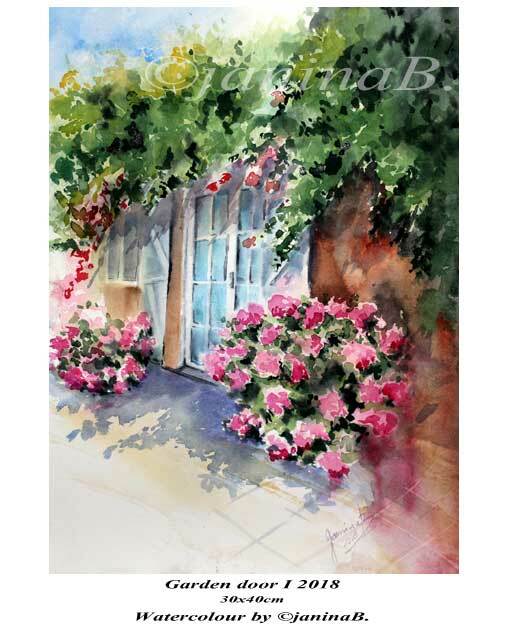 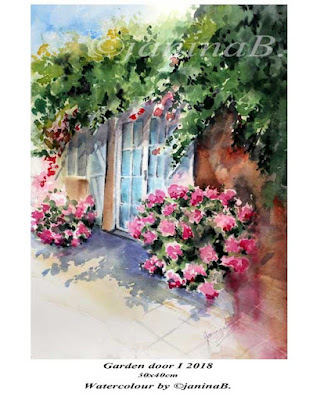 Garden door I 2018 / 30x40cm Watercolour by ©janinaB. Iris II 2018 / 10x15cm Watercolour on Photo-paper by ©janinaB. 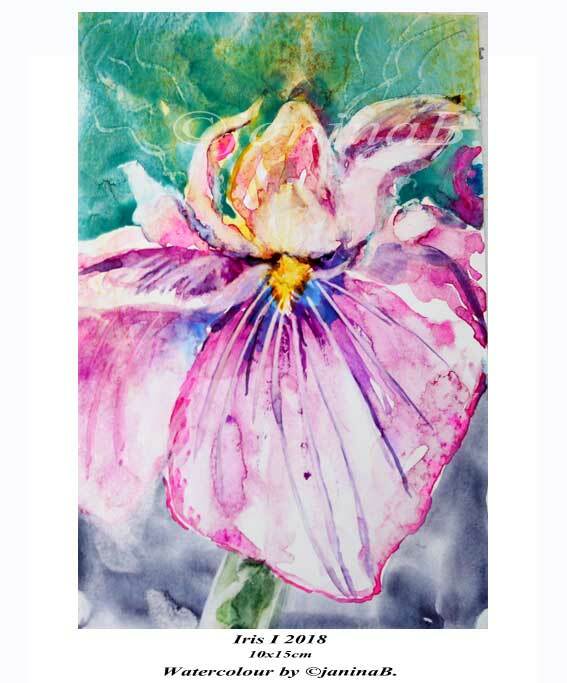 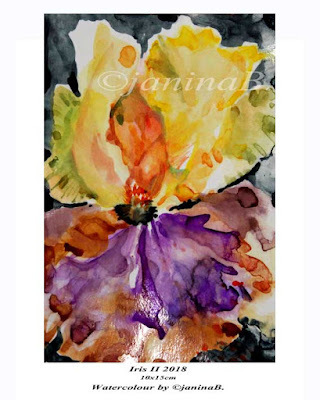 Iris I 2018 / 10x15cm Watercolour by ©janinaB. 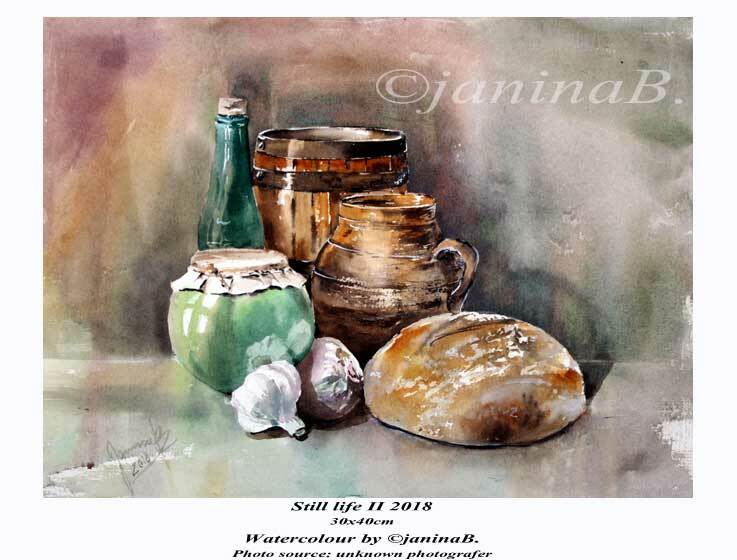 Still life IV 2018 / 30x40cm Watercolour by ©janinaB. 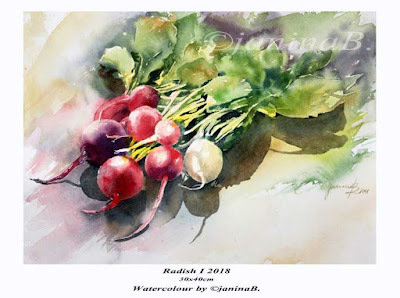 Radish I 2018 / 30x40cm Watercolour by ©janinaB. 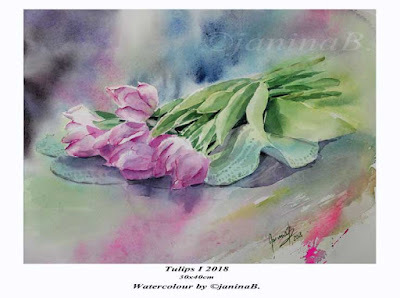 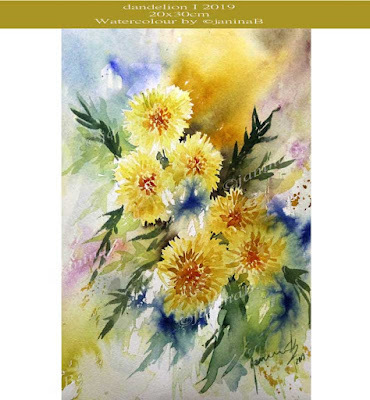 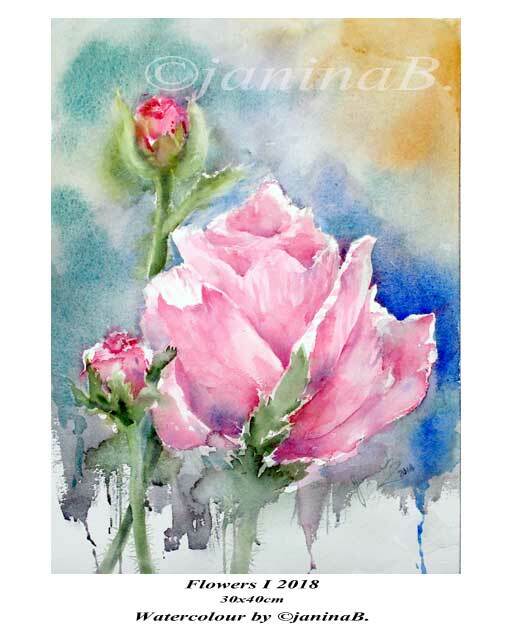 Flowers I 2018 / 30x40cm Watercolour by ©janinaB. 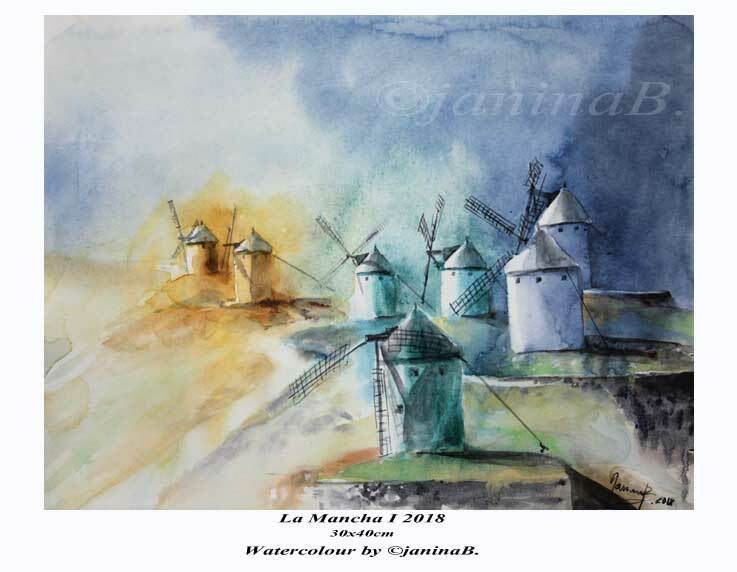 La Mancha I 2018 / 30x40cm Watercolour by ©janinaB. 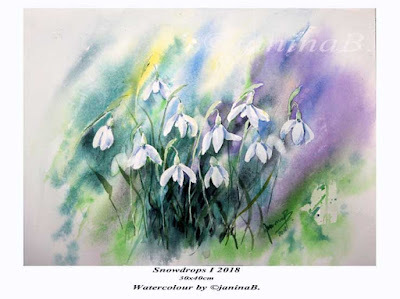 Snowdrops I 2018 / 30x40cm Watercolour by ©janinaB. 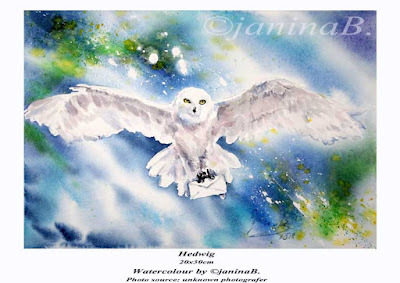 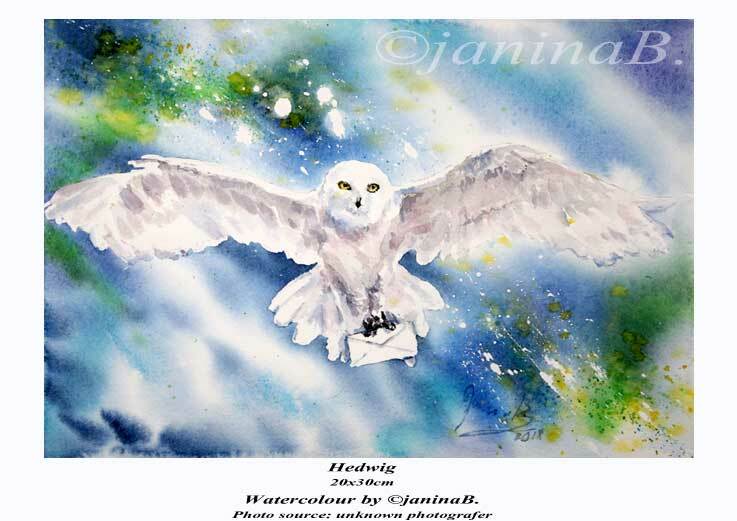 Hedwig / 20x30cm Watercolour by ©janinaB. 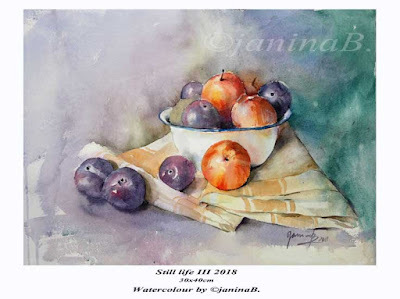 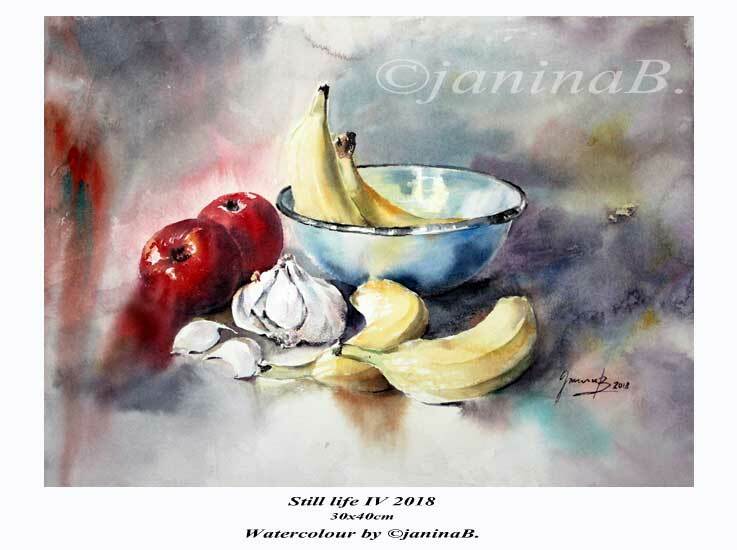 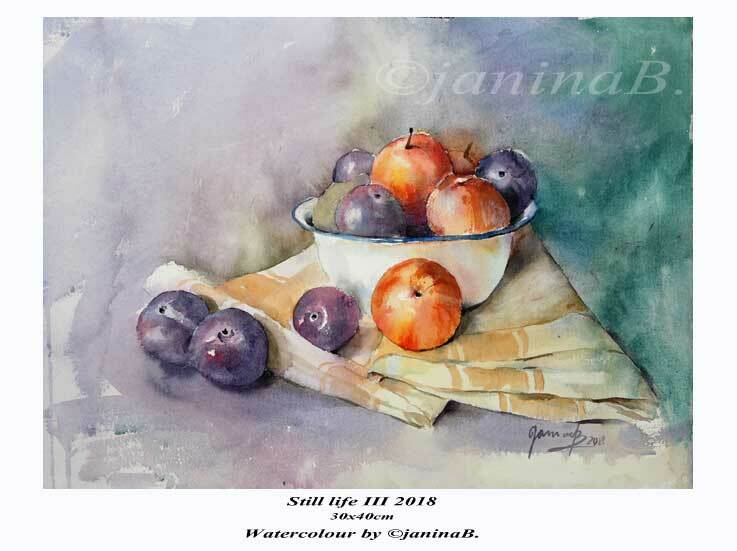 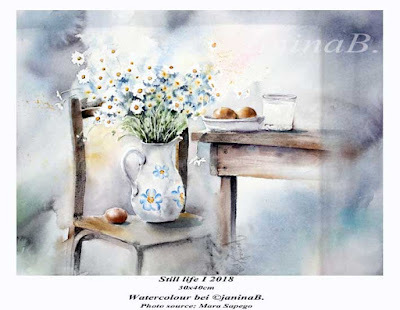 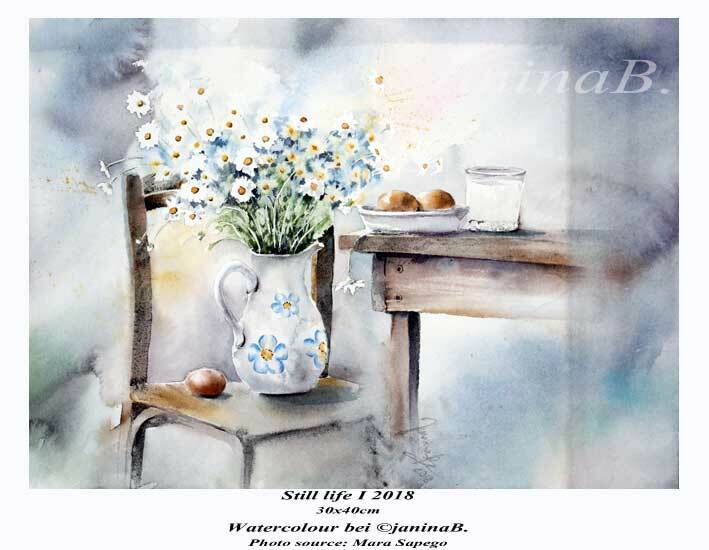 Still life III 2018 / 30x40cm Watercolour by ©janinaB. 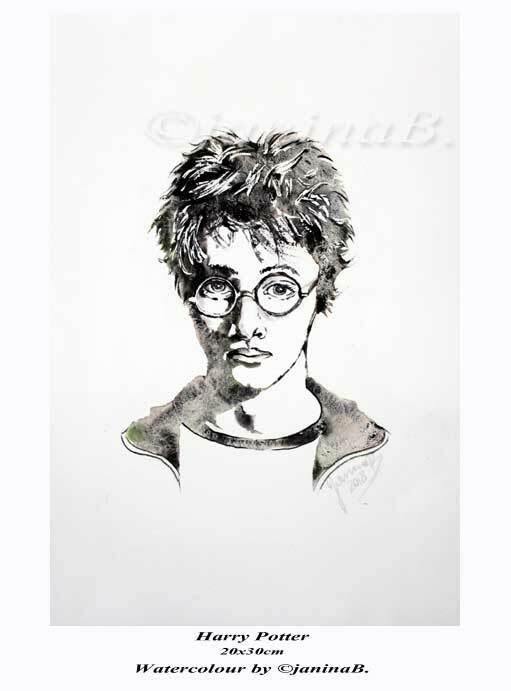 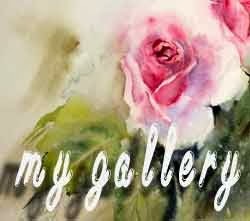 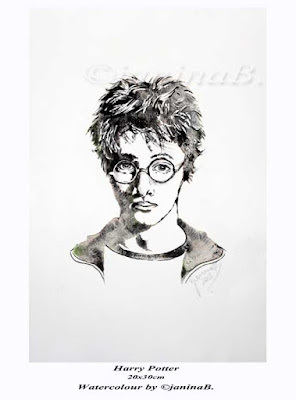 Harry Potter / 20x30cm Watercolour by ©janinaB. 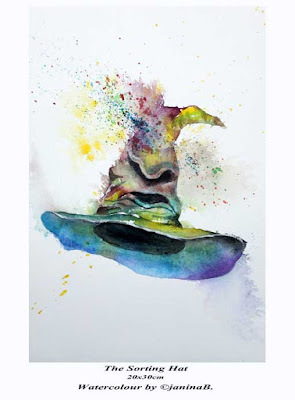 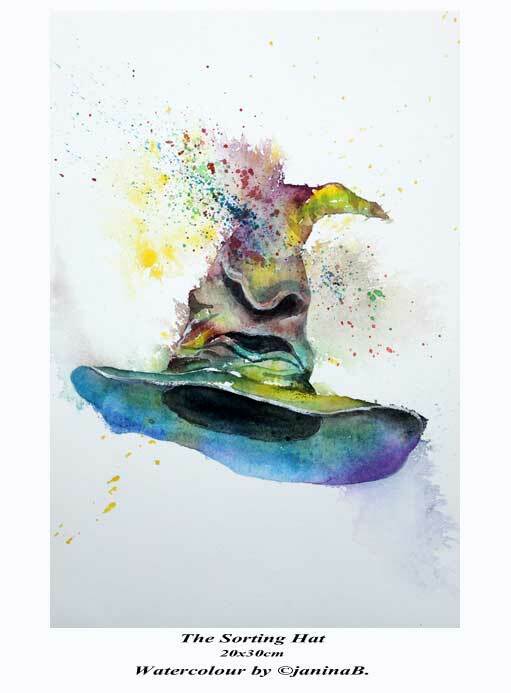 The Sorting Hat / 20x30cm Watercolour by ©janinaB. 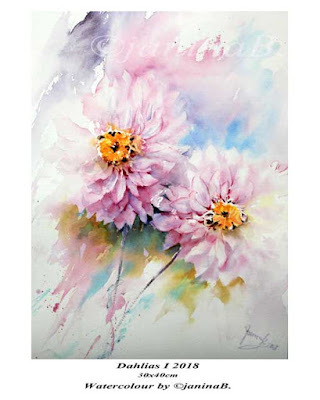 Dahlias I 2018 / 30x40cm Watercolour by ©janinaB. 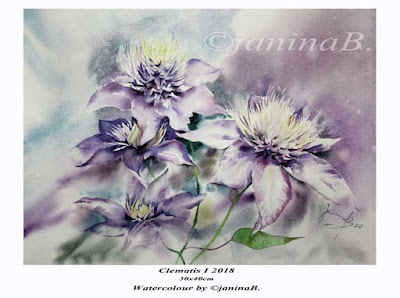 Clematis I 2018 / 30x40cm Watercolour by ©janinaB. Still life I 2018 / 30x40cm / Watercolour bei ©janinaB.